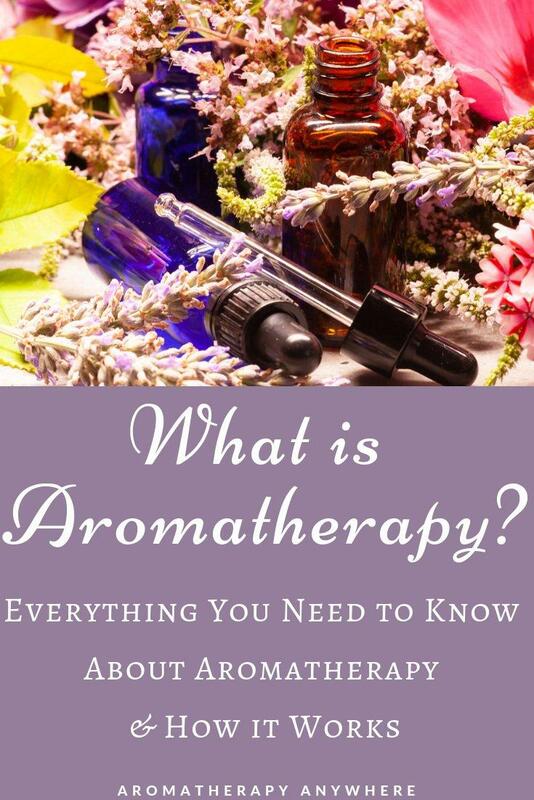 You are here: Home / Essential oils / What Is Aromatherapy And How Does It Work? These are the three questions I get asked the most when I tell anyone about my aromatic experiences. Some family and friends have heard about it in passing but they are not too sure about what exactly is aromatherapy or how it works. Well, once you understand how aromatherapy works, it is easier to understand its many applications and benefits. Aromatherapy is a type of alternative medicine. It is the practice of using essential oils, plant oils and other natural substances whose aroma and/or physical application provides therapeutic relief from one or multiple conditions. Aromatherapy works by inhaling the aromas of essential oils through the nose or by absorbing the oil into the skin. It is used for a wide range of applications, from pain relief and mood improvement to enhanced cognitive function and even overcoming jet lag. This practice is based on the proven principle that aromas of various plant extracts have a wealth of beneficial properties and are very effective at enhancing physical and psychological well-being. As we said earlier, aromatherapy works by inhaling certain aromas, specifically those of essential oils. These essential oils are first extracted from a natural source, mostly from different plant parts. Some are extracted from the leaves of the plant, others may be extracted from the bark, flower or root of the plant. The extracted oils have a wide range of medicinal uses. They can be used in candles, diffusers, lotions, and sprays in order to benefit from their healing aromas. When inhaled, the aroma of a particular essential oil may offer physical or emotional benefits or both. The aroma of the oils stimulates specific parts of the brain, which then triggers off the healing benefits of that oil. In addition, the natural chemicals also offer therapeutic benefits when inhaled into the lungs. A great example is eucalyptus essential oil. When put in a diffuser and inhaled, eucalyptus oil helps ease congestion in the nose and chest. I use it all the time and the results are almost immediate. Some oils can be mixed with a carrier oil and applied directly to the skin. When applied topically, the essential oils are absorbed through the pores of the skin. Once absorbed they travel through the bloodstream, promoting whole-body healing. Precaution – Essential oils must never be applied to the skin in their concentrated form without a carrier oil. 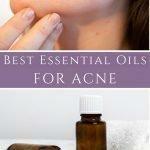 These oils are very potent and can irritate the skin when used by themselves. Diluted essential oils can be applied on the crown of your head, behind the ears, upper and lower back, abdomen, temples, neck, under the nose, inside the wrists, and on the collarbone. These areas are pulse points and help act as a natural diffuser to distribute the oils into the air so that you can inhale them. Some essential oils such as cinnamon, marjoram, vanilla, thyme, and rosemary can be ingested. Precaution – It is advisable to ingest essential oils only under the supervision and authorization of a physician. In addition to using essential oils, aromatherapy also encourages the use of a few other complementary all-natural ingredients such as sea salts, muds, clays, herbs, sugars and cold pressed vegetable oils. No synthetic ingredients are ever used. In addition to therapeutic benefits at physical and psychological levels, essential oils can also be used in several other applications. Some oils can be used in laundry and household cleaners while others act as a natural insect repellent and pesticides. One such example is citronella essential oil. Citronella is often added to candles that are used for repelling mosquitoes. 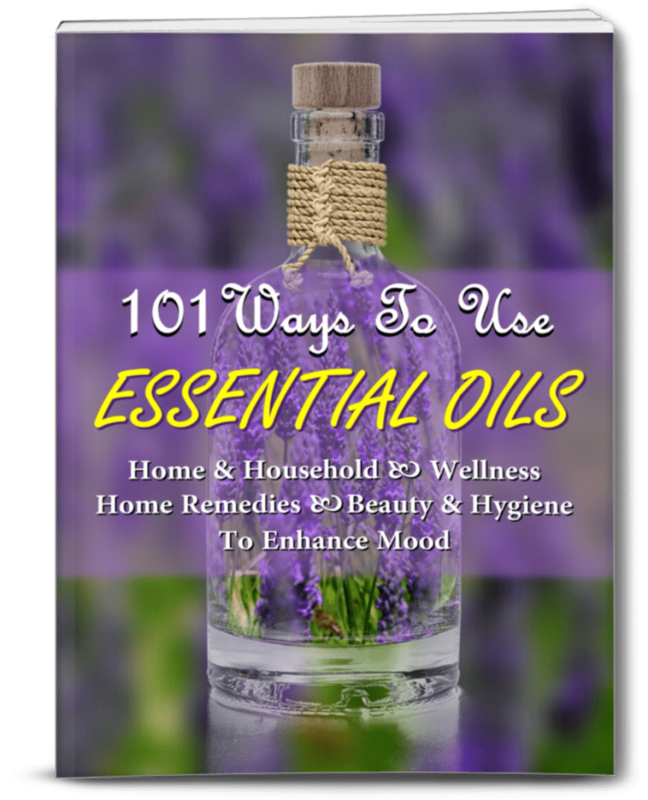 Visit our other pages to check out additional ways that you can use different essential oils. There are several recognized essential oils, and there are many different ways you can release their powerful aromas. The easiest way is to simply add a few drops of essential oil to a cup or pot of boiling water to release a therapeutic scent into the air. For more effective disbursement, you should consider using an essential oil diffuser. There are several different types of diffusers. • Candle diffusers use heat to disperse a few drops of essential oil into the atmosphere. • Electric diffusers are great if you need to spread the aroma over a very large area. They are often combined with a negative ionizer to help reduce stress. • A fan diffuser blows aromas around your room, while lamp rings absorb essential oil and use the heat from a light bulb to deliver the scent. • A nebulizer works by breaking the oil down into its different main components first. It then disperses each component separately. Some aromatherapy practitioners believe nebulizers deliver the most therapeutic benefits per drop of oil. When applying any essential oil directly on the skin, you should always blend it with a carrier oil first. Most essential oils are very strong and may react with your skin if you apply the concentrated form. Blending with a carrier oil does not affect the potency of the oil. It just dilutes it and makes it safer to use. It also helps spread the oil more evenly over larger areas. In the United States, the term “aromatherapy” is not regulated. In other words, manufacturers may market any type of product as aromatherapeutic or delivering aromatherapy benefits. When buying essential oils it is important to look out for labels that claim a product is made “with 100% essential oils”. The same goes for any claim that states natural ingredients are used. Unless the label says “100% natural ingredients” or “100% essential oils”, you are probably getting a watered-down, chemically-based product and in that case, there is no guarantee that harmful man-made chemicals are not present. Labels that state ‘Made with natural ingredients’ or ‘Made with essential oils’ are misleading in that they are half-truths. The product may have natural ingredients or essential oils but only in minute amounts. The larger proportion is likely to be synthetic fragrance oils. This product is not going to do anything for you. The label MUST say ‘made 100% or ONLY from natural ingredients or essential oils’. Remember, perfume or fragrance oils are not essential oils, even if they are labeled as aromatherapy products. Perfume oils usually contain synthetic chemicals that do not provide the therapeutic benefits of essential oils, sea salts, cold pressed vegetable oils and other natural components used in aromatherapy. Learn more about the difference between essential oils and fragrance oils. Don’t let thoughts of false marketing or hype deter you from availing of the benefits aromatherapy. Instead take time to read and learn about using aromatherapy and essential oils correctly so you can enjoy their gentle healing benefits without any risks. Although it has gained huge popularity only a few years ago, the history of aromatherapy actually goes back several thousand years. There are even records of aromatic plants and essential oils being used in biblical times, although they were not known by these terms at the time. Ancient Romans and Greeks used essential oils in their medical treatments. Cleopatra was known to use generous amounts in her perfumery. The Egyptians used the essences of aromatic plants to treat psychological as well as physical health problems. Further East, Indian and Chinese doctors were well aware of the therapeutic properties of plant oils and have been using them in their practice for hundreds of years. The present-day concept and use of aromatherapy began with Rene-Maurice Gattefosse, a French chemist who coined the term “aromatherapie”. This was some time in the 1920’s. Rene-Maurice Gattefosse was convinced that oils extracted from plant parts had antiseptic properties that more potent than any of the other antiseptics that were used at that time and they had very powerful healing abilities. He conducted several studies to explore the uses of essential oils for other possible medical purposes. His research spurred the practice of aromatherapy as we know it today. How Do I Get Started With Aromatherapy? The best way to get started with aromatherapy is to read and learn as much as you can about how aromatherapy works and how essential oils can be used for various healing purposes. ‘The Complete Book of Aromatherapy & Essential Oils with over 800 natural, non-toxic recipes” is one of the best books you can pick up to learn everything you can about what is aromatherapy and how to get started with using essential oils for aromatherapy. Armed with this knowledge you will have a better idea of which oils can help you wish to achieve the goals you wish to address, whether it is relief from stress and anxiety or the desire to be more alert or more relaxed. Using essential oils directly may lie at the core of aromatherapy, but it is not the only way to get the benefits. There are also several different products that contain essential oils including fragrances, lotions, soaps, and candles. Using these products can also give you the benefits of aromatherapy. • Do be aware of the safety issues related to different essential oils. • Don’t jump in and start experimenting with all oils right at the beginning. 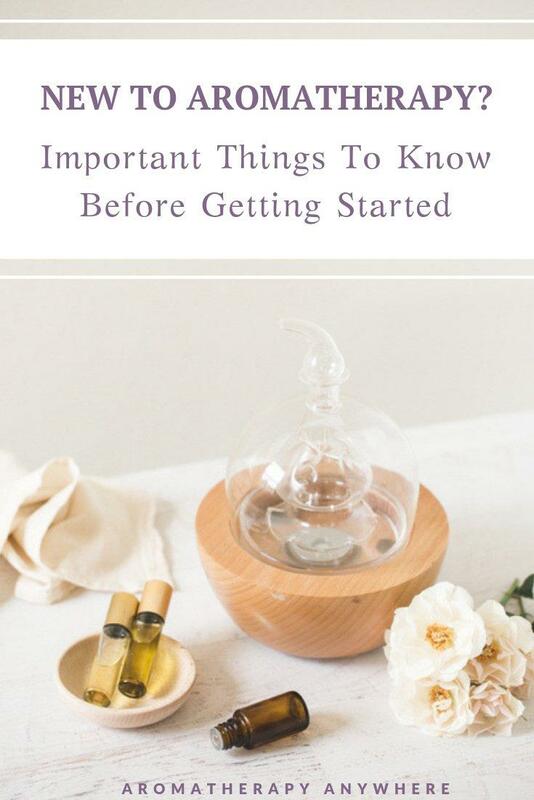 When you are just starting out it is advisable to first get to know a few oils really well – say 3 or 4. • Do read about what each type of oil can do and whether this will help you address your problem. Once you’ve picked your oils, try each one out separately so you can monitor the effect it has on you. Slowly, expand your oil collection. • Do buy only from a reputed seller who is educated about essential oils and their uses. If you should ever have a doubt or a question, don’t be afraid to ask. • Don’t buy essential oils for therapeutic benefits from street fairs or craft shows as the quality may not be guaranteed. • Don’t purchase perfume oils thinking they are the same thing. They aren’t. At best perfume oils will infuse the air with a pleasant perfume but without the therapeutic benefits. At worst, they can cause adverse reactions, especially when applied topically. • Don’t buy oils that are stored in bottles with a rubber top. The concentrated components in essential oils will react with the rubber, turning it into a mushy gum-like substance. This will ruin the oil too. • Do store essential oils in dark glass bottles- preferably amber or cobalt blue. Place these bottles in a cool dark place as light can ruin the individual components of these oils. • Do be especially careful if you are pregnant or if you are using essential oils to treat a medical condition. Get to know the oil well. Pay attention to the safety information of whichever oil you plan on using and most important of all, speak to your doctor before you start. If you have just embarked upon your aromatherapy journey, it is a good idea to first learn as much as you can about what is aromatherapy and how aromatherapy works. Understanding the basics will help you get the maximum healing benefits of the essential oils that you use without the adverse effects of wrongful use. The most important thing to note is that these essential oils are all-natural. When perfume oils and other man-made or synthetic products or unnatural chemicals and perfumes are inhaled or applied to your skin, you could experience a number of negative side effects. For instance, the natural green apple scent is very effective when used in treating migraine headaches. If that natural compound is mixed with synthetic chemicals, the result could aggravate headache pain rather than alleviate it. It is very important to stick to 100% essential oils and natural components for all of your aromatherapy applications. I’d love to hear about how and why you got started with aromatherapy. Let me know in the comments below. If are interested in knowing more, sign up for my free download and to receive the latest news in aromatherapy and essential oils.